Continuing on in my update of news from primarily regional (but not exclusively) Australian genealogy, history and heritage groups. This covers news from any group, society, museum, archive office throughout Australia. Some of the following news articles have been submitted to us, while others have been found from websites, newspapers and other articles. If you are a Facebooker, and have ain interest in the early colony history of New South Wales, Norfolk Island, and Tasmania 1788-1820, you might like to join the Facebook Group dedicated to just this. For the first time since the completion of extensive restoration work during over two years, Henry Lawson Cottage will be open to the community. In 1916, Australian poet, Henry Lawson was employed as a publicist for the MIA on a salary of two guineas a week and the use of the cottage, which he occupied with his housekeeper. The two bedroom cottage was originally constructed in 1912 and is one of the earliest surviving examples of the cottages provided by the Murrumbidgee Irrigation Trust for new settlers. More on this can be read online. The Tintaldra Store and Tea Rooms at 11am, Saturday 11 September is the setting for the launch of the new book “Grandie: Sydney Grandison Watson, King of the Upper Murray and his sons to the Gulf of Cape York” by Norman C. Hutchinson. Sydney Grandison Watson settled at Walwa on the Upper Murray in 1845. ‘Grandie’ as he was known expanded his pastoral holdings to around 100,000 acres and became known as the King of the Upper Murray. In 1864 Grandie employed Edwin Jephcott to build the Tintaldra Store, which is still in use. Following the book launch, the store owner will provide visitors with “A Taste of the Past’ with Aussie Stew, Drover’s Damper with Golden Syrup, and Tank Water Tea, together with some bush poetry and music. For more information about the launch please contact Greg Blackmore blackmoregreg@bigpond.com. Peter Collins the convenor the of the Brisbane TMG User Group has created a group on Facebook for those that wish to interact with others using TMG. Slade Point is a peninsular suburb north of Mackay, was named by Captain James Cook. The history of Slade Point has been recorded in a book. More than 80 people recently gathered to celebrate the launch “Stories from Slade Point” in which the editors have preserved a wealth of information and stories of ordinary people from the early days in a permanent record of Slade Point. One of its editors is now looking for someone to write a history of Slade Point Primary School before its 75th anniversary in 2014. Copies of “Stories from Slade Point” can be purchased from the Slade Point Post Office, Finch Street, Slade Point, Qld 4740 fax: (07) 4955 1401. You can read the full article in the Daily Mercury online. Julie Dern is compiling a South West Queensland Pioneer Register up to 1900 which will record people who lived in towns and areas along and south of the Warego Highway, including Augathella, Birdsville, Charleville, Condamine, Cunnamulla, Dirranbandim, Eulo, Goondiwindi, Injunde, Miles, Mitchell, Morven, Mungindi, Quilpie, Roma, St George, Surat, Taroom, Thargomindah, Toompine, Wallumbilla and Wyandra. No closing date has been set at this stage, but it is like to be at least 18 months. It has not yet been decided whether it will be published in book of CD format. If you would like to submit some information, please send a stamped, self-addressed envelope to: Julie Dern, PO Box 197, Warren, NSW 2824 or email: juliedern@westnet.com.au. 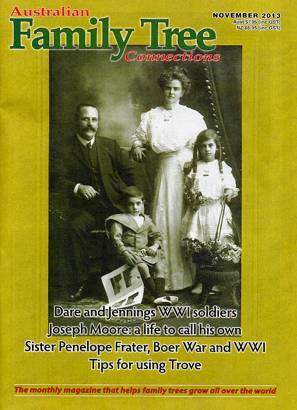 A second edition of the ‘Kohlhagen Family History’, published in 1983 is currently being compiled. Information is being gathered from families descending from two Kohlhagen brothers, Johann Heinrich Wilhelm and Christian David Andreas, who arrived in Adelaide in 1846. Information is sought from descendants from any Kosher, Bertram, Hasch, Clifton, Cox, Coles, Whitbread, Carrick, Carlisle, Horsler, Gwilliam, Wardley, James, Clarke, Hickey, Drage and Denyer families who may be connected. Contact mecklenburg1846@hotmail.com or PO Box 2531, Bowral, NSW 2536. Descendants of Alexander and Elizabeth Chigwidden, who came to South Australia in 1839, are invited to attend a family reunion and book launch to celebrate 170 years of the family’s arrival to South Australia. The gathering will be held at Clare on Sunday, October 3. Contact Gerald Lally for details (08) 8843 8007 or gahllally@activ8.net.au. The Barossa Goldfields Historical Society are inviting you to an Open Day on Sunday 26th September 2010, from 9.30am-4.30pm for a day of Gold Panning, Mining and Local History Displays, Guided Walks, Blacksmithing, Cross Cut Sawing. Bring a picnic, and enjoy the endless billy tea and damper. Held at Bowden’s Cottage, which is 4km up Goldfields Road (turn off the Williamstown Road onto Balmoral Road and next left onto Goldfields Road). Cost adult $5, child (5-17) $3, family $14. For more information contact Bob on his mobile: 0407 712 621, or visit their website. South Australia’s Kernewek Lowender, the world’s largest Cornish Festival is held bi-annually in the towns of Kadina, Moonta and Wallaroo, and attracts over 30,000 visitors. This cultural festival has street processions, church services, craft displays and so much more. Many visitors are particularly proud of their Cornish ancestry and cultural and historical aspects of the festival are very popular. The next Kernewek Lowender will be held between 9-15 May 2011. The Dressing of the Graves is one event that is held during the Festival, this honours the graves of early pioneers in the district. Nominations are now being taken for the next Dressing of the Graves, but do close on 30 September. A total of 30 will be chosen, with nominators informed on 30 November. For a copy of the criteria contact the Copper Coast Farm Shed Museum and Tourism Centre, The Farm Shed, 50 Moonta Road, Kadina, SA 5554, phone (08) 8821 2333, email info@kernewek.org. Beneth sepia photos of footballers in knickerbockers and a wall-sized honour roll dating back to 1878, the history of the Norwood Football Club is being painstakingly collated, piece by piece. 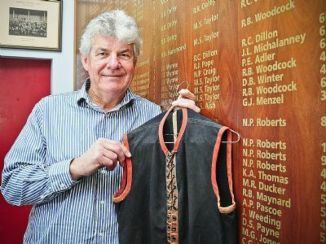 The Club’s History Committee made up of supporters and past players had pulled together a collection of more than 1000 items, including old guernseys, blazers and membership badges. But the collection is far from complete, and they have now put the call out wider for any memorabilia (badges, team photos, individual player photos or other items). The aim is to put the club’s treasures on permanent display once proposed new clubrooms are built at the ground in coming years. If you have any items you would like to donate please call (08) 8362 6278, email: general@norwoodfc.com.au or visit the Premiers Bar at Norwood Oval on Thursdays 10.00am. You can read the full article from the Leader Messenger online. The foolball club are planning a reunion for their Senior Grades 1946-1978 to be held in 2011. They have put the call out for memorabilia and are looking at getting in touch with former players. Contact Bronwyn Rigden (08) 8648 6332 or jeremyrigden@aapt.net.au if you can help out. The Waikerie and District Historical Society is requesting photographs and information to enable to be prepared. They are seeking photographs and information on the Ramco Institute, early sporting clubs that no longer exist, post offices, shops, businesses, first settlers and also any memoirs. The same information also required for Waikerie. They will be happy to have copies made and return to originals to you. If you can help out you can contact: mkthiel@bigpond.com or Box 383, Waikerie, SA 5330 or Meredith Arnold (08) 8541 2091 or c/- Post Office, Waikerie, SA 5330. The Launceston Historical Society reports that Marcus Bastiaan is compiling research on the Australian artist Frederick McCubbin’s life and lesser known artworks. 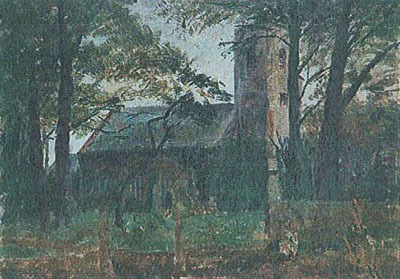 He is hoping to identify this Tasmanian church which is attributed to McCubbin. The artist was born in 1855 and died in 1917. Please email Marcus if you can help with any information marcusbastiaan@hotmail.com. 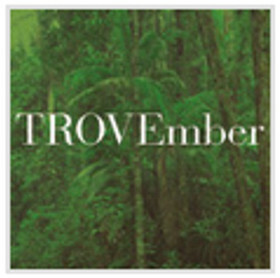 The Cornish Association of Bendigo and District has just released a new CD for Cornish researchers. If you had a Cornish ancestor who “kicked a stone, dug a hole, attended a church service, got married, had children, or died in Bendigo” then this CD is for you. On it you will find the names of thousands of Cornish people who came from Cornwall to help make Bendigo the city it is today. Also listed are the names and addresses of people who are researching the various names. There is a list of over 2000 Cornish Mining Captains and two complete books on Long Gulley, the Cornish Hub of Bendigo. Priced at $25 inc P&P. 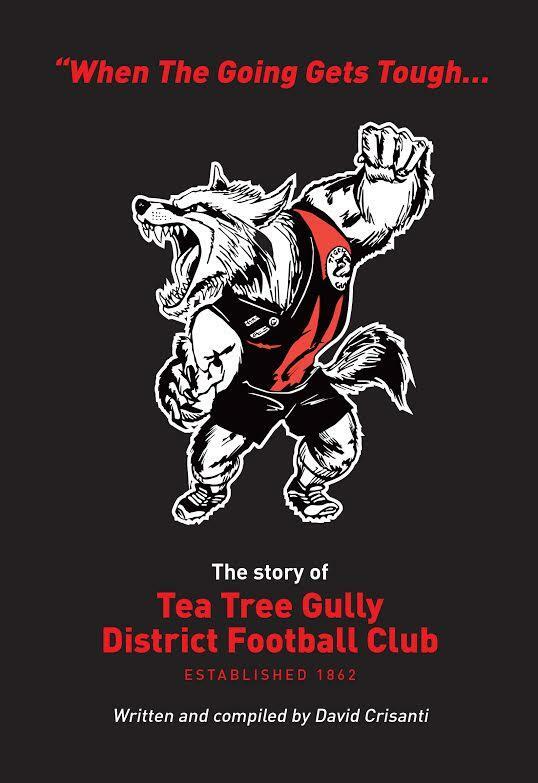 To order please contact Tom Luke by email: tomluke@westnes.com.au or post a cheque to him at 1 Linsley Way, Wantirna, Vic 3152. The people behind Bellarine On-line (Susie and Pam) have done a magnificent job in compiling their latest publication “Scots in Geelong and District to 1860” which has just been released. Available on CD for $25.00 (+$3.00 postage), or book (print on demand) for $50.00 (+$12.00 postage), these can be purchased by sending a cheque or money order to: Bellarine On-Line, PO Box 639, Ocean Grove, Vic 3226. You can find out more about these titles by checking our Susie’s website. This is a fantastic post. We’re always looking for great resources to send to our residents, and your article is absolutely worth sharing!